PNE free standing Climate Room consist of an inner and outer room. The outer room’s floor, ceiling and walls are all thoroughly insulated with spray-injected polyurethane foam. The inner room consist of wall sections cunstructed of laminate sheets and aluminium. 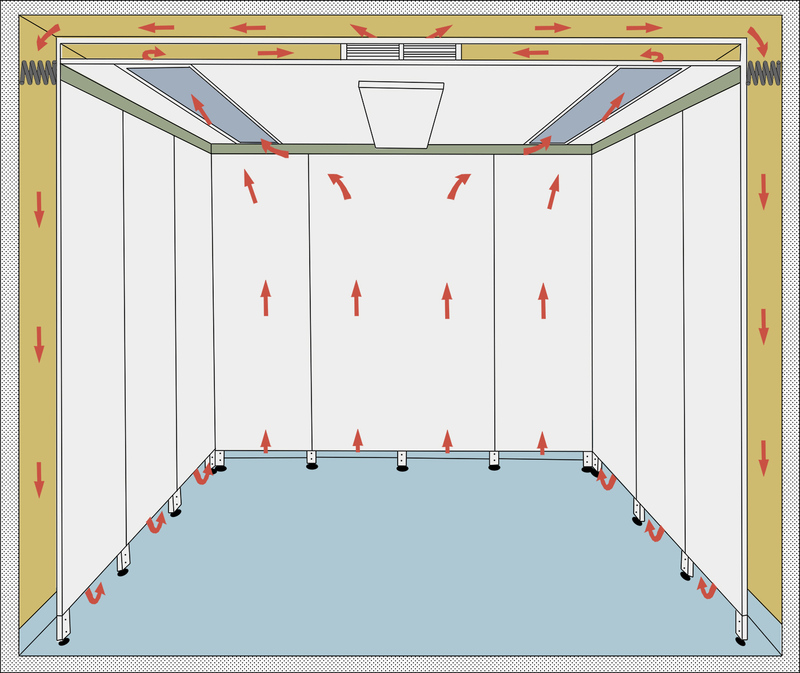 Warm air circulates through a perforated inner-ceiling, to a filter that is pressed between the inner and outer walls, and then reenters the room via small wall openings near the floor. Heating elements, located between the walls control the temperature of the passing air. If you want to work below room temperature, a cooling element is mounted in the room’s ceiling. A steam humidifier/dehumidifier provides precisely the degree of humidification required.